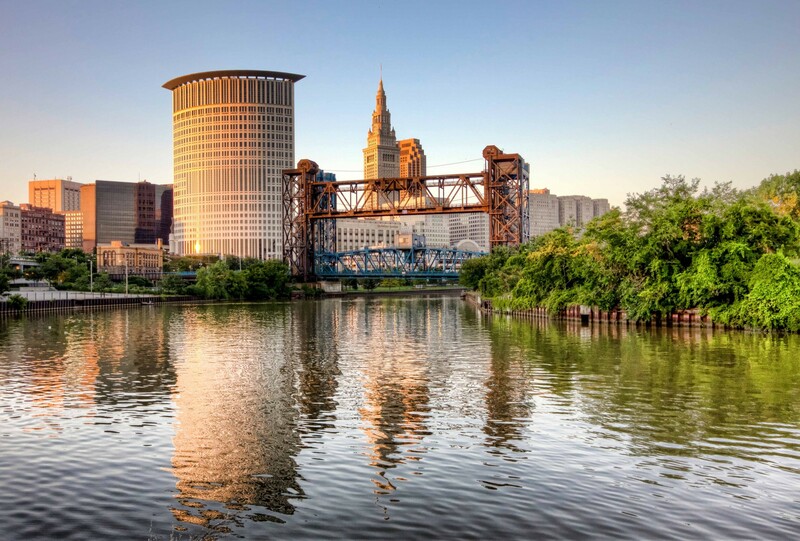 “Nautica Entertainment Complex in Cleveland, Oh invites you to experience exceptional dining and exhilarating entertainment in a dramatic setting where you can see giant lake freighters maneuver the Cuyahoga River. Since its opening in 1987, the Nautica Entertainment Complex has attracted millions of people annually. 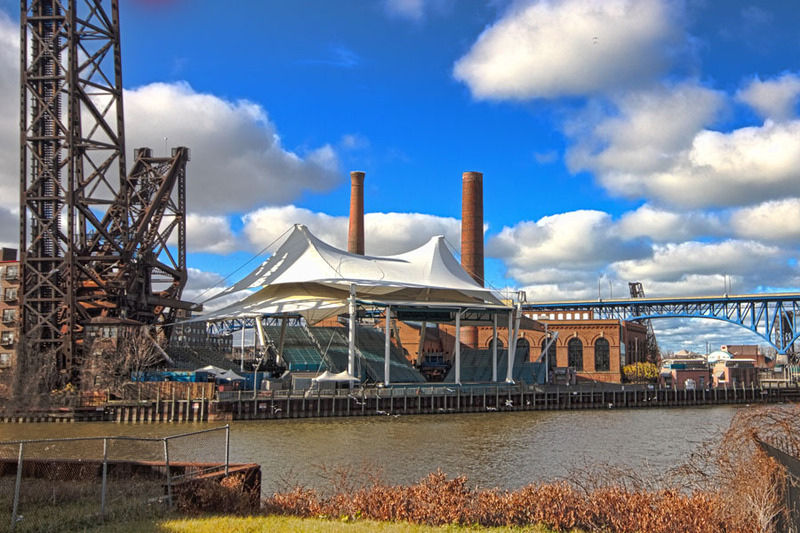 Anchored by two dramatic jackknife bridges, the distinctive character of the Flats is accentuated by Cleveland’s finest entertainment venues. Today’s Cleveland photo is of the Cleveland Skyline from the Superior Viaduct. I just wanted to take a moment to wish everyone a very Merry Christmas and a happy holiday season. 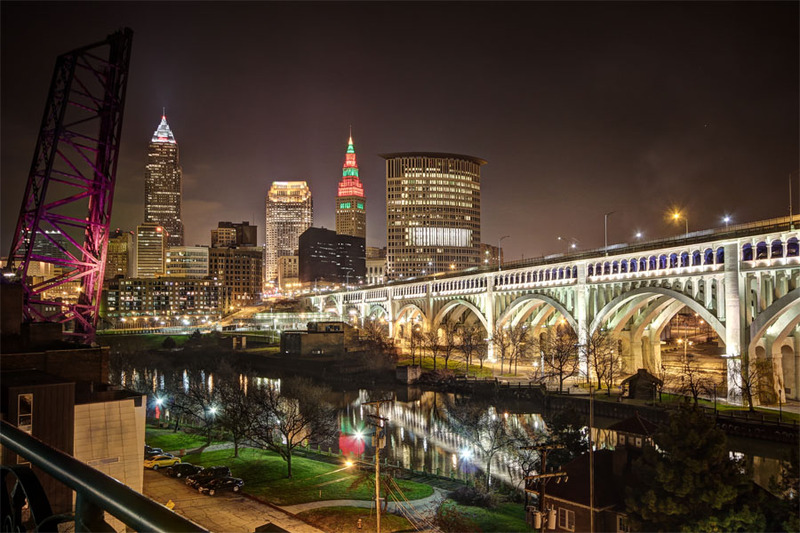 The Cleveland Skyline – Cleveland got the nickname “The 6th City” during the early 1900’s when its population made it the 6th largest city in the country. Cleveland had the sixth largest population in the 1910, 1930 and 1940 U.S. Federal census. As of the 2010 Census, the city proper had a total population of 396,815. That makes Cleveland the 45th largest city in the United States. 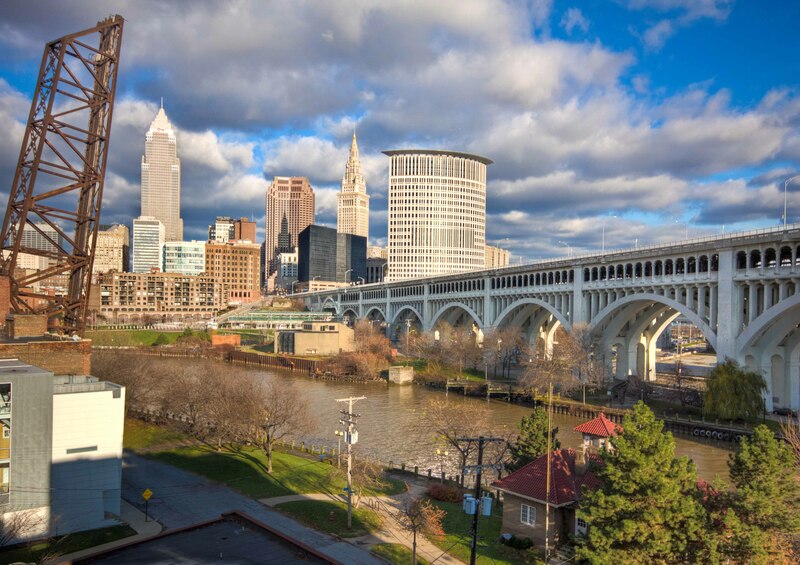 That being said Cleveland is part of the larger Cleveland-Akron-Elyria Combined Statistical Area, which in 2000 had a population of 2,945,831, and ranked as the country’s 14th largest. 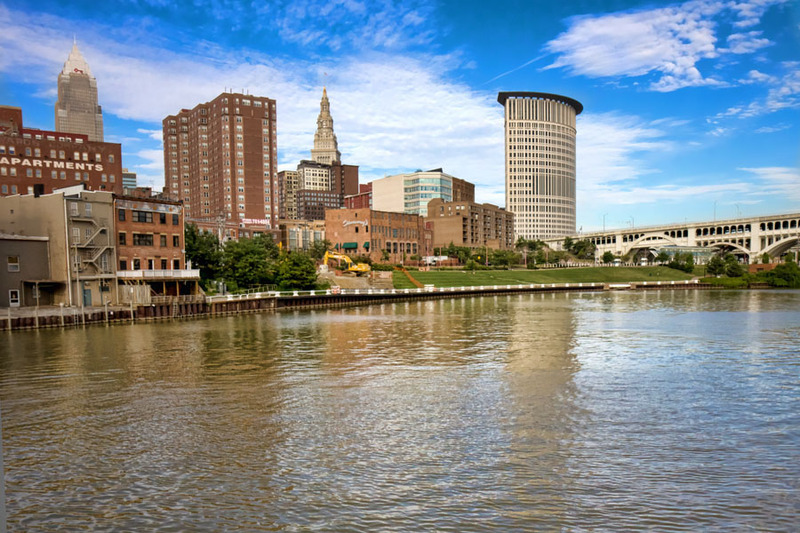 Today’s photo is of the Cleveland Skyline from Edgewater Park. 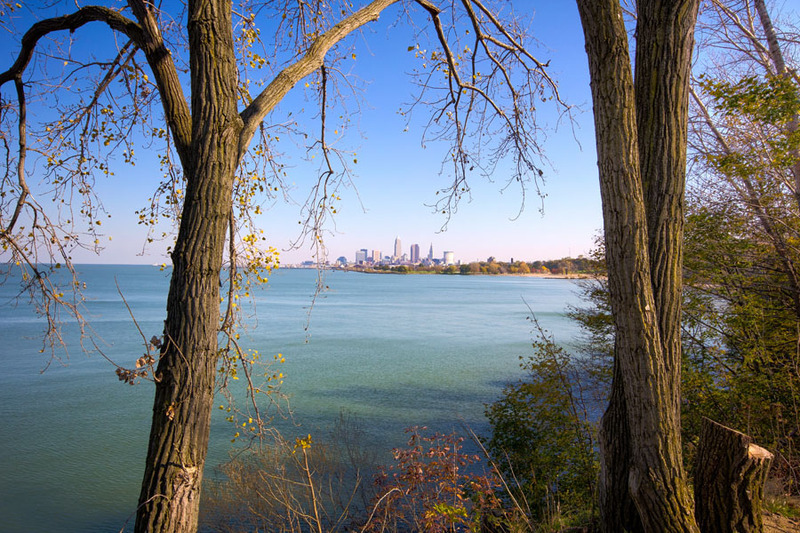 Edgewater Park is located on Cleveland’s west side and has beautiful views of the city. This park is divided into upper and lower areas that are connected by a paved bicycle path and fitness course. Carl B. Stokes Federal Court House Building is located on the right side of this photo that was taken in the Flats. This 24 story tower was completed in 2002 and was named for Carl B. Stokes who was the first African-American mayor of a major U. S. city. Some of the other buildings that can be seen in this photo are the Terminal Tower, Key Bank Building and Sammy’s in the Flats. 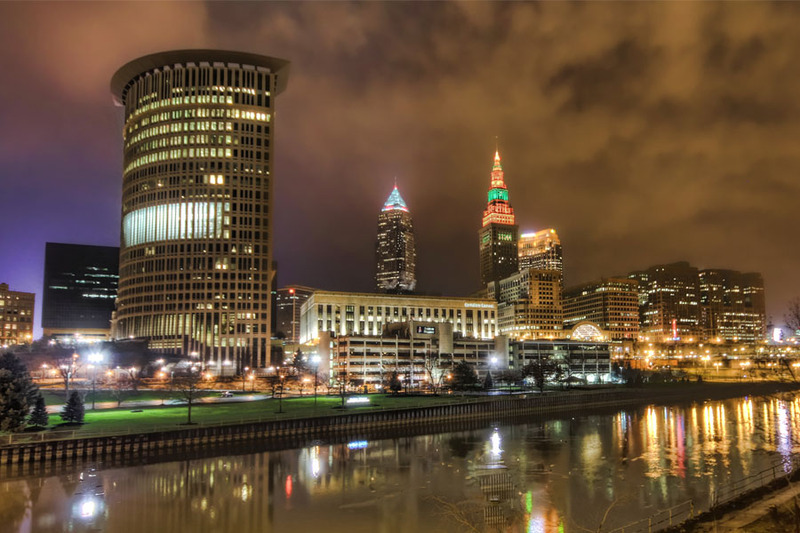 Today’s photo is a reworked version of a panoramic shot of the Cleveland skyline I took last summer. It’s one of my favorites because it includes Cleveland Browns Stadium, the Terminal Tower, Key Bank Building, 200 Public Square (BP Building), the William G Mather, the Rock and Roll Hall of Fame, the Great Lakes Science Center and Voinovich Park. Have a great weekend and enjoy the weather. 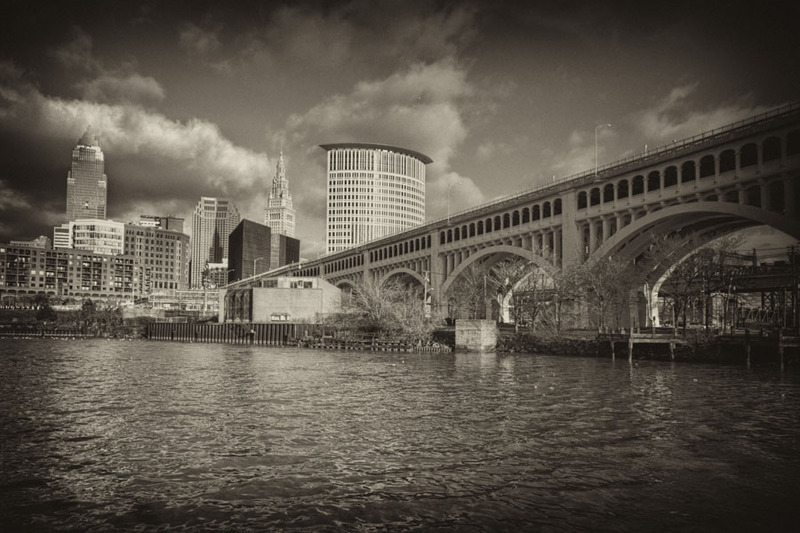 Today’s Cleveland photo was taken from the old Superior Rd. Viaduct near the Stonebridge Waterfront Apartments. I really love the way the city looks from this vantage point. This is a photo of the 2 story Great Hall of the Greenbrier Suite. The Greenbrier Suite was secret residence of the Van Sweringen Brothers and it is located inside the Terminal Tower. That’s right, it is located on the 12th, 13th, and 14th floors of the Terminal Tower in downtown Cleveland. This stunning home was built to rival the mansions located on Euclid Ave. 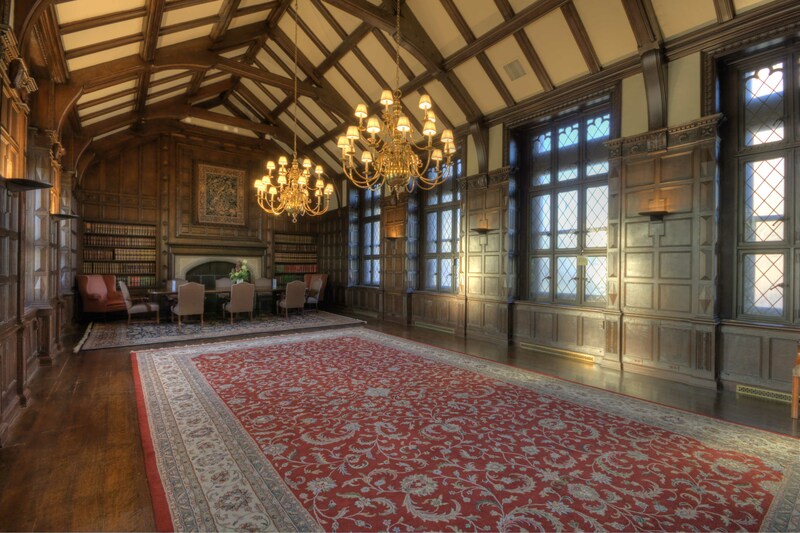 It was built in English Gothic style with oak paneling and marble fireplaces. Who are the Van Sweringen Brothers you ask? Oris and Mantis Van Sweringen were two Clevelanders who created a $3 billion, 30,000-mi. railroad and real estate empire. They also were the builders of the Terminal Tower and the real-estate developers of Shaker Hts.